Proxy season 2017 was busier than ever for activist investors, with more campaigns launched so far this year than for all of 2016. Overall, there were 803 activist campaigns so far, up from 737 for all of 2016, FactSet reports. Boardroom battles that went the distance still favored management. Of 82 proxy fights that were launched in 2017, 30 went to a vote, and 17 went for management. Of course, the season isn't done yet -- we are still waiting for the final tally on Nelson Peltz's super-sized boardroom battle at iconic American packaged goods company Procter & Gamble Co. (PG - Get Report) . A big surprise for 2017 -- settlements were down. According to FactSet, there were only 25 deals to bring dissident directors onto boards in 2017 so far, down from 50 in 2016. All this suggests companies are more willing to fight to the finish, and in many cases, they are winning. With that in mind, TheStreet looks back over the field and the year and chooses the winners, losers, and also-rans among major activist fund managers. Wins: Rent-A-Center (RCII - Get Report) , Hain Celestial Group Inc. (HAIN - Get Report) , Magnachip Semiconductor Corp. (MX - Get Report) , Gigamon (GIMO , Benchmark Electronics (BHE - Get Report) , BroadSoft Inc. (BSFT , SunOpta (STKL - Get Report) . Undecided: Celestica Inc. (CLS - Get Report) , Dexcom Inc. (DXCM - Get Report) , Diebold Nixdorf Inc. (DBD - Get Report) , Imax Corp. (IMAX - Get Report) , NCR Corp. (NCR - Get Report) . Losses: Jamba Juice (JMBA , Ruby Tuesday Inc. (RT . Glenn Welling's Engaged Capital, an under-the-radar activist fund, had 12% returns as of the end of November, another stellar year for the fund, keeping it safely in the win column. Contributing to that success is Welling's Rent-a-Center investment. A sale of the rent-to-own retailer for $13 a share or more appears to be in the works now that the company rejected a $13 a share offer from rival Vintage Capital on Nov. 8. In October, RCII announced it was looking into strategic alternatives, roughly five months after Welling succeeded at installing a three-person slate of directors onto the company's board. All this puts RCII in Welling's win column. Terra Chip and organic foods maker Hain Celestial is trading in late December around $42 a share, significantly up from what Welling paid in June to acquire a stake. He also succeeded at a major reshuffling of the board, with new six directors installed in recent months. A real victory may not be that far away with reports speculating that Swiss food giant Nestle or another large packaged goods company angling to buy the business in the not-to-distant-future. Benchmark Electronics is another win for Welling, who succeeded in getting two directors installed last year at the company as part of a campaign targeting its working capital management and capital allocation. A key issue: Benchmark had been paying its suppliers faster than it was paid by its customers. But after the activists retained board seats, the company installed a new CEO and generated more than $200 million in free cash flow last year by trimming its receivables and extending its payables. As a result, as of Sept. 30, it has about $750 million in cash on its balance sheet, most of it overseas. Engaged Capital helped negotiate an $85 million investment by Oaktree Capital last year at Canadian natural and organic foods processor SunOpta Inc. (STKL - Get Report) , an investment that helped drive the company's shares up to its recent price of around $7.50 a share from about $6 at the time. Ruby Tuesday agreed to sell itself to buyout shop NRD Capital for $146 million in October, with Welling likely pressing behind-the-scenes. The sale of $2.40 a share likely didn't add much value for Welling since his fund had owned a Ruby Tuesday stake since the fall of 2016 when the restaurant chain's shares were trading at prices slightly above the sale price. Nevertheless, a sale is a sale. Welling also had been agitating for a sale of Magnachip Semiconductor, but when that didn't materialize, he helped recapitalize the company to cut costs and improve profitability for yet another win. But the fund's significant investment in Jamba Juice continues to struggle even as the freshly-squeezed juice and smoothie retailer followed his strategy of converting itself into a franchised-owned company. Wins: Marvell Technology Group Ltd., Brinks Co. (BCO - Get Report) , Cognizant Technology Solutions Corp. (CTSH - Get Report) , Tribune Media Co. (TCO - Get Report) , Parexel International Corp. (PRXL . Undecided: Etsy Inc., Jack in the Box Inc. (JACK - Get Report) , Perrigo Co. plc (PRGO - Get Report) , ComScore Inc. (SCOR - Get Report) , Forest City Realty Trust Inc. (FCE.A , Mellanox Technologies Ltd. (MLNX - Get Report) . Losses: Macy's (M - Get Report) , Depomed (DEPO . 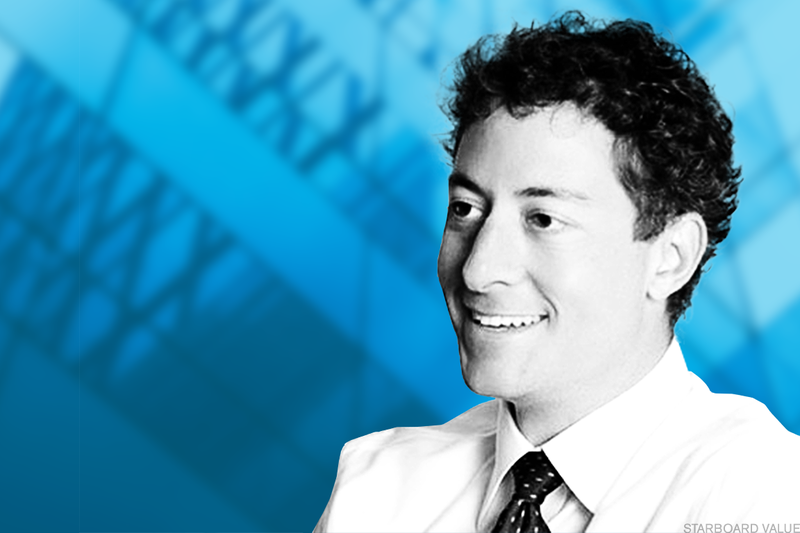 It was a quiet year, comparatively, for Starboard Value's Jeff Smith, though only because he didn't need to resort to any proxy wars to get things done. Activists often push companies to sell themselves as a means of exiting positions with a significant premium in hand. However, that's not always the case. Consider that Marvell Technology had opportunities to sell itself in 2016 for a substantial premium, but the chipmaker's Starboard-backed board argued that such deals would have undervalued the company. 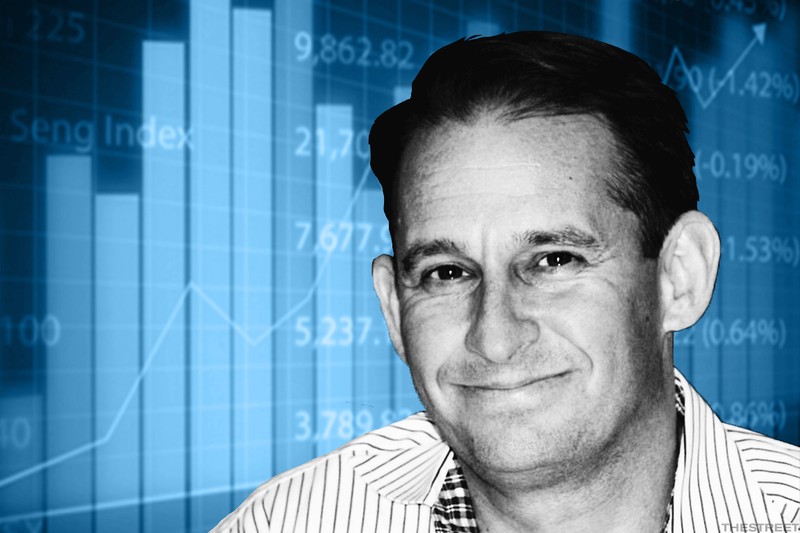 Now Marvell is in Starboard's win column after it rejected potential bids at prices significantly lower than its current share price of about $22 a share. Also in the win column is Starboard's investment in Brink's. The armored car transportation company agreed in January to bring on three directors, including a Starboard insider. BCO never agreed to a major strategic combination with another global logistics company. Even so, since the settlement Brink's share price has been on a quickly ascending upward trajectory. In August Starboard sold some of its investment "in light of the significant appreciation" in the company's share price over the past couple years. Parexel agreed to sell itself to Pamplona Capital in a $5 billion deal in June, netting Starboard yet another win. The deal came a little more than a month after Smith launched a campaign there. Also, Starboard in March trimmed and later liquidated its position in Tribune Media amidst reports that it would be sold to Sinclair Broadcasting Group, a deal that was announced in May. The activist fund accumulated its Tribune Media stake between Dec. 23 and Feb. 17 for between $28.12 a share and $35.10 a share, significantly less than the $37.28 to $39.60 a share it sold part of its stake for later that month. In the loss column is Macy's. Starboard had been pressuring the department store chain to separate its real estate from its retail business. But the fund exited its 1% position in early 2017 as the department store chain share price dropped. ComScore in September brought on four Starboard-backed directors and launched a strategic review. But so far, that agreement hasn't moved the stock price of the embattled media measurement company. Last year, Smith succeeded at installing five directors onto the board of Perrigo Inc., which subsequently removed its CEO and launched a selling spree, which included a deal to offload its royalty stream for a multiple sclerosis drug and a move in August to sell its active pharma ingredients business. However, Perrigo's share price is trading at about $87 a share, slightly down from some of the fund's purchase price of $95.88 a share. Starboard also owns significant stakes in both Real estate firm Forest City Realty Trust and restaurant chain Jack in the Box, both of which have strategic reviews ongoing. An escalation could occur if the REIT doesn't sell itself or if JACK doesn't move to spin off its Qdoba Restaurant unit. In March, Depomed settled with Starboard, in a deal that brought Gavin Molinelli, 33, a partner at the fund, onto the drug company's board. The firm's CEO resigned, but Starboard had pressed for a sale, which never took place. Wins: Arconic Inc. (ARNC - Get Report) , Advisory Board Co. (ABCO , NRG Energy Inc. (NRG - Get Report) , Roadrunner Transportation Systems Inc. (RRTS - Get Report) , Oncor Electric Delivery Co. LLC, Marathon Petroleum Corp. (MPC - Get Report) , PulteGroup Inc. (PHM - Get Report) , Samsung Electronics Co. Ltd. (SSNLF and Gigamon Inc.
Undecided: BHP Billiton Inc. (BBL , Gentherm Inc. (THRM - Get Report) , Investors Bancorp Inc. ISBC , Ocean Rig UDW Inc. (ORIG , Wayfair Inc. (W - Get Report) , Tenneco Inc. (TEN - Get Report) , Taubman Centers Inc. (TCO - Get Report) , Energen Corp. (EGN , Adient plc (ADNT - Get Report) and GEA Group. The year 2017 marked the beginning of a new direction for Elliott Management after it acquired Gigamon Inc. in October for $1.6 billion, its first agreement to acquire a public company on its own. It also was a year where traditional activist plays worked for a big insurgent fund managed by billionaire Paul Singer. Elliott Associates LP is up 6.8% after fees this year through the third quarter, and the Elliott International Ltd. fund is up 6% after fees over the same period, according to a person familiar with the fund. Earlier this year Elliott notched a big win at aerospace parts maker Arconic, one of the most contentious boardroom battles of 2017. Singer helped drive out the aerospace company's CEO, Klaus Kleinfeld, in a move that was followed up by the installation of three dissident directors. Also, Elliott drives Advisory Board Co. to spit in two, selling each division to separate buyers. It also settled with NRG to install a top PE executive, John Wilder, on its board, a move that was followed with a major stock price surge. And PulteGroup's shares quickly headed upwards after the homebuilder in April shook up its board, under pressure from Elliott. Also, Sempra Energy (SRE) agreed to buy Texan power distributor Oncor Electric Delivery in a deal supported by Elliott that defeated a lower bid by Warren Buffett's Berkshire Hathaway. Marathon Petroleum never spun off its Speedway unit as Singer had wanted. Even so, it shifted assets to its MLP, a win for the fund. Some battles are ongoing: One of Elliott's most significant campaigns of the year involves massive Anglo-Australian mining, metals and petroleum company BHP Billiton. The insurgent investor wants BHP to carve out and separately list its oil assets, but the company isn't listening, though it did sell its loss-making U.S. shale business under pressure from Singer. There are some efforts that are just in their early stages. Ocean Rig UDW, an offshore drilling contractor, could soon be pushed into a sale. And Samsung wasn't a clear win for Elliott since it never did convert itself into a holding company, augment its board, break up or list a unit on Nasdaq, as Elliott had wanted. But it did cancel its large Treasury share balance, hiked its capital returns and improved performance, which satisfied the fund even following an exploding phone and a corruption scandal. Wins: Pentair plc (PNR - Get Report) , DowDupont Inc. (DWDP - Get Report) , Bank of New York Mellon (BK - Get Report) , Sysco Corp. (SYY - Get Report) . Undecided: Procter & Gamble Co. (PG - Get Report) . Losses: General Electric Co. (GE - Get Report) . 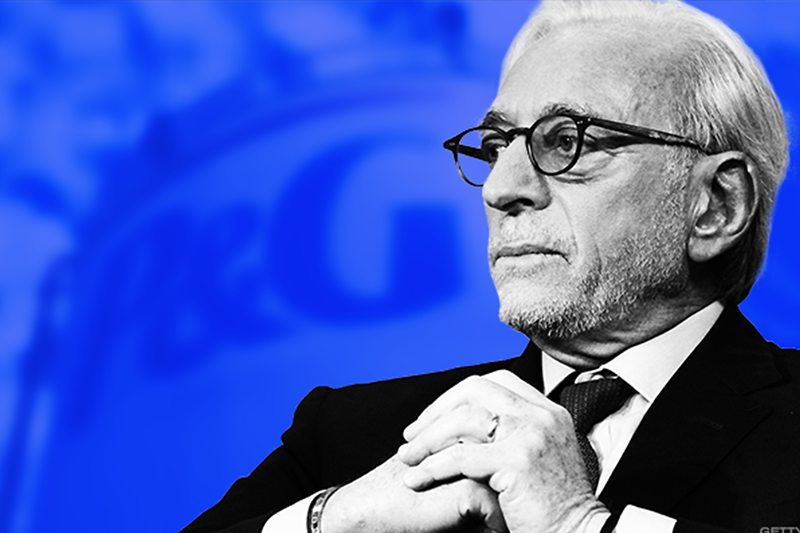 In 2017, Nelson Peltz treated us to the largest boardroom battle in the history of director warfare with his effort to gain a director position at iconic American packaged goods company Procter & Gamble. The annual meeting took place in October, but the result is still unclear. 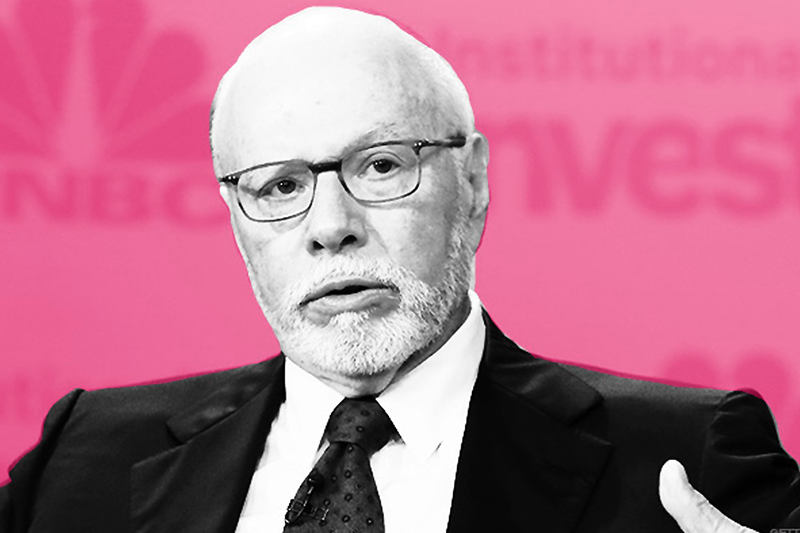 The inspector of elections in November put Peltz, who describes his fund as "liquid private equity," ahead by 0.0016% of the vote, but P&G is challenging. As such, we put Trian's campaign in the undecided category. Overall, Trian Fund Management's net performance was up 3% year-to-date as of early December, according to a person familiar with the situation. In the wins group is Trian's investment and effort at Pentair plc (PNR). Fund manager Ed Garden obtained a seat at the company in 2015 and worked with CEO Randall Hogan to help separate the company's water and electrical businesses into two separate companies, a move that was announced in May. Also in the wins category is Trian's investment in DowDuPont, a combination that Peltz helped drive to fruition after he narrowly lost a bruising battle with the chemical giant in 2015. With Peltz's assistance in 2016, DuPont began merger discussions to create DowDuPont, which will break up into three companies. Other investments have quietly done well. For example, Trian's Garden was installed onto the board of Bank of New York Mellon in 2014. Since then, the financial institution's shares have continued to rise. Peltz and another Trian partner got on the board of Sysco in 2015, with similar positive results in the following years. However, it wasn't all good news in 2017 for Trian. The fund's Mondelez investment was essentially flat for the year. Then there was GE. In 2015, Peltz argued in one of his signature 80-page white papers that GE's shares could reach between $40 and $45 a share, including dividends, by the end of 2017. Instead, the conglomerate's share price dropped precipitously to trade at around $17 a share in December, driven by weak performance in manufacturing and power as well as weak free cash flow. Shareholders, including Trian, have lost $116 billion in market value. Trian's Garden got a seat on the board in October, and new CEO John Flannery said the conglomerate would divest $20 billion worth of operations, including its locomotives and industrial lighting businesses. A sale of its oil and gas and transportations businesses could also soon be in the works. But for now, GE's in the loss category. Wins: Restaurant Brands International Inc. (QSR - Get Report) . Undecided: Automatic Data Processing (ADP - Get Report) . Losses: Chipotle Mexican Grill Inc. (CMG - Get Report) , Herbalife (HLF - Get Report) . 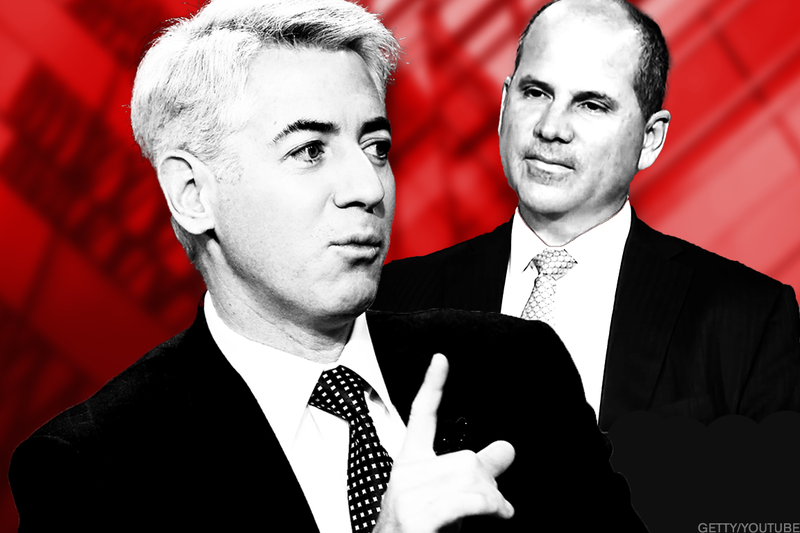 Mark 2017 as another rough year for Bill Ackman and his Pershing Square Capital Management. As of November 30, Pershing Square reported a -2.7% in net performance for 2017, not a great result though better that his fund's loss of 20.5% net of fees for 2015 and a loss of 12.1% after fees for 2016. Last month, Ackman lost a hard-fought battle at ADP, though many questioned the wisdom of the fight as it involved a very complicated argument suggesting that the payroll processor's share-price problems were ahead of it. Even so, we put ADP in the undecided camp, since share prices are still up since Ackman launched his insurgency - and Ackman promises to be back next year if shareholder commitments aren't met. In November, Ackman announced that he converted his $1 billion short position in Herbalife into a put position, though with Herbalife's shares up 41% year-to-date we're putting the nutritional supplement company in the loss category. Another major misstep this year is Pershing's investment in restaurant chain Chipotle. The investment was a win from an activist perspective in that Ackman settled in December 2016 with the company to add four new directors. The chain subsequently ended its costly co-CEO arrangement after co-CEO Monty Moran left, another Ackman success. But things have deteriorated, with a string of bad news in recent months, including rodent sightings at one location and sick customers at another. After third-quarter earnings missed Wall Street estimates by nearly $1, CEO Steve Ells announced he is stepping down from the chief executive position. The burrito chain's recent share price of $313 is also is well below Ackman's investment cost basis of about $404 or $405 a share. Pershing Square acquired an initial 9.9% stake last year. Ackman, however, posted a win for 2017 with his large position in Restaurant Brands International, which owns Burger King and Tim Hortons and had a return of about 24% year-to-date, according to FactSet. Arconic, DowDupont and GE are holdingd in Jim Cramer's Action Alerts PLUS Charitable Trust Portfolio . Want to be alerted before Cramer buys or sells TKstocksymbol ? Learn more now .